Guernsey Post has announced its 2018 stamp programme for Guernsey and Alderney. 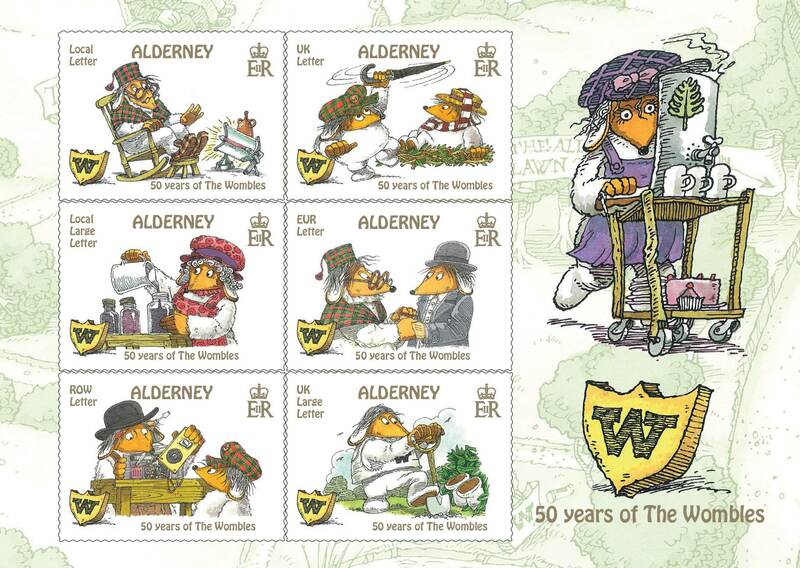 It includes a set of six stamps to mark the 50th anniversary of the first Wombles book being published, which will be released on 14 February. Author Elisabeth Beresford lived on the small island of Alderney, where she was a well-known part of the local community, until her death in 2010. 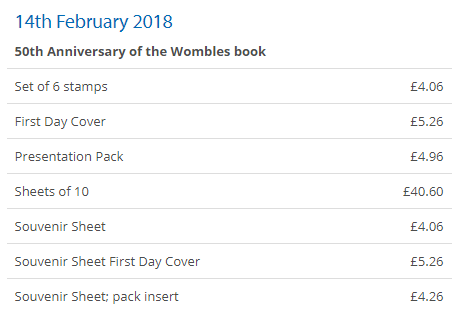 The stamps will be available to pre-order from 29 January on the Guernsey Stamps website, including a presentation pack, a souvenir sheet and first day covers. Copyright © 2000-2019 Tara Stockford. The Wombles™ © Wombles Copyright Holdings Ltd.